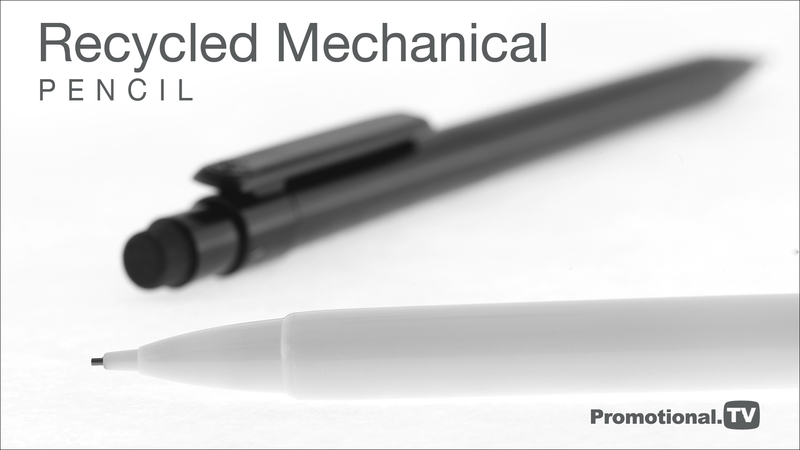 With its full-gloss recycled white barrel this Mechanical Pencil is ideal where the main advertising message or logo needs to be displayed on a neutral background. Because of its low cost and its eco credentials it is an excellent replacement for the more traditional wooden pencil where the written message may need to be erased or where the click-action of a pen would not be acceptable in environments such as libraries, seminars or training rooms. It is fully compliant with current safety regulations and comes with a 0.7mm diameter HB lead, as standard. The Recycled Mechanical Pencil, with inbuilt eraser, operates on a quiet push-button mechanism and has generous print areas on the barrel and clip allowing us to offer printing in up to 6 colours matched to your requirements. This cost-effective pencil can be supplied with a range of optional presentation packaging, including high visibility pen pots to display at your next corporate event.